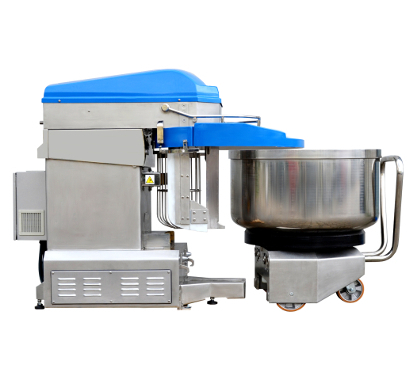 Those machines are made with removable bowls up to 350 l. capacities intended for whipping and creaming confectionery masses and light cakes preparation. The machine body is made of painted steel. On a special request it is possible to produce stainless steel body. 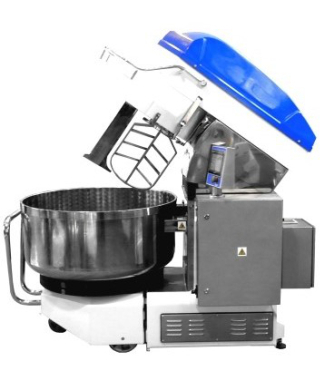 The bowl, tools, the dough scraper and wire bowl lid are made of stainless steel. 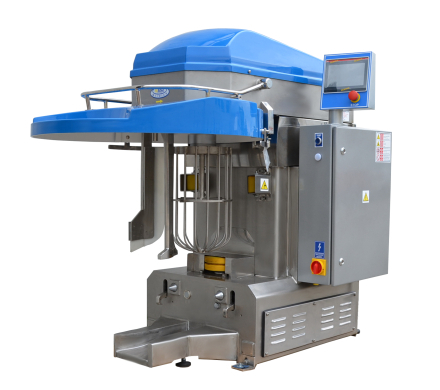 The machine can also be equipped with full plastic bowl cover. Thanks to the belt transmission unit is extremely quiet. 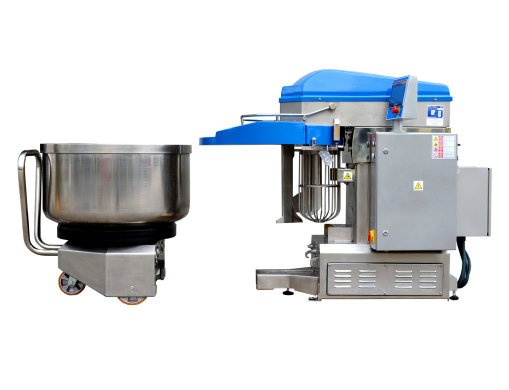 The mixer has automatically raised head using hydraulic cylinders. 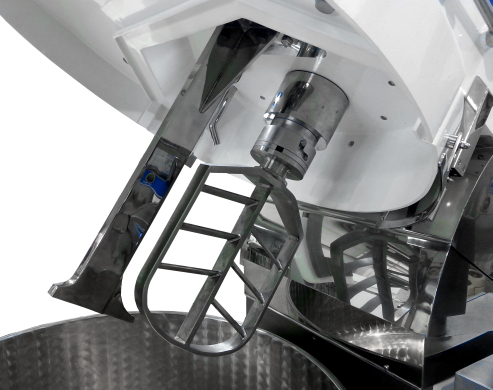 The bowl is automatically pulled and locked under the head using special hydraulic system hooks. 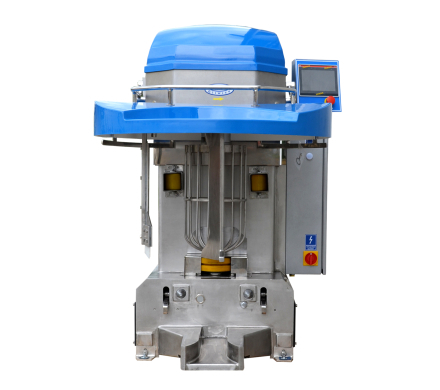 Easy to use touch control panel allows full programming and process writing, time set and temperature control grated masses (temperature sensor is located in the scraper). As an option it is possible to install the water dispenser (except for machines SMRU130). Solenoid mounted on the head gives an extra water directly into the bowl with the existing mains. The machine is equipped with LED's lighting the bowl. 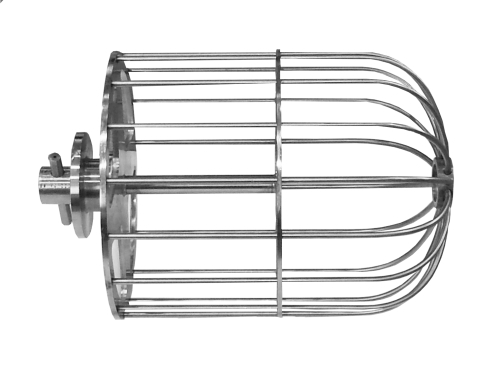 In contrast to a standard spiral mixer - SMR, SMRU is equipped with a quick coupler for easy tools replacement (can not be fitted into a normal dough spiral mixer). 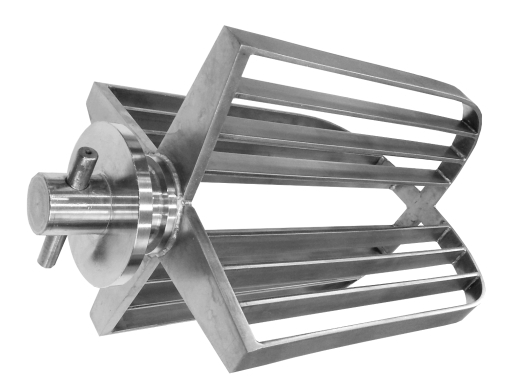 Manufacturer offers three tools to choose from - fin, cross and rod. Tool drive motor is controlled by inverter which allows smooth speed control. The required machine power is 400 V. In the back of the body there is a switch to manual mode, allowing the machine to continue working when some electronic system damage apears. 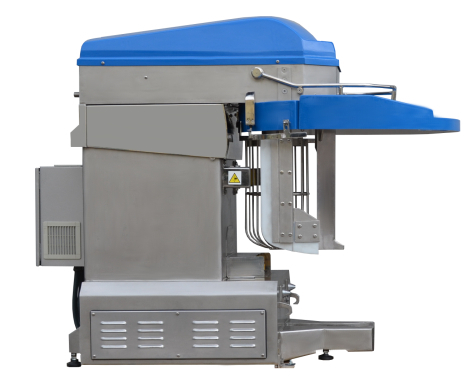 The machine has been made in accordance with current CE standards. 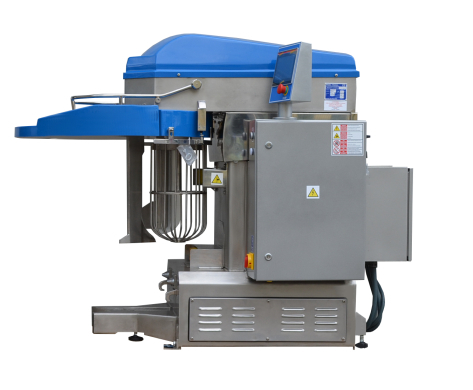 See for yourself how our machines increase efficiency in your industry.